Are you looking for a progressive church where your faith journey is accepted and respected, and questioning is expected and welcomed? 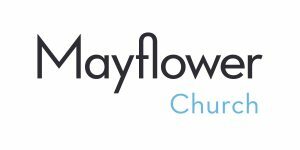 No matter who you are or where you are on life’s journey, you are welcome at Mayflower Church. 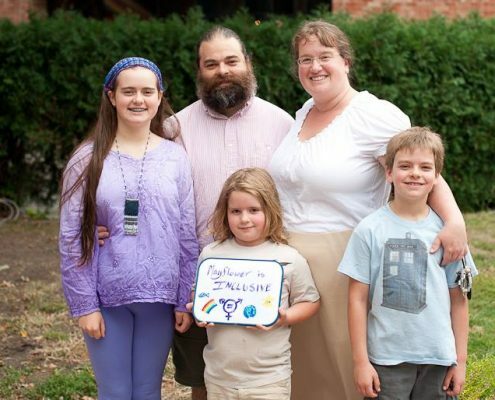 We are an Open and Affirming, Peace with Justice, Earthwise, and Immigrant-Welcoming congregation. Come as you are – wear whatever and sit wherever you like! Be sure to stop by the welcome desk for a name tag and to get answers to any questions from our friendly greeters. The worship bulletin will guide you through the service, with times of silence, unison prayers, a sermon, and wonderful music. Large print bulletins and sound amplifying devices are available. From September-May, we offer small groups and education sessions for all ages at 9:45. Learn more here. Mayflower is handicap accessible, with an entrance ramp and accessible restrooms on all floors. A unisex bathroom with baby changing table is located near the church office. New to Mayflower? We’ll pair you with a New Member Connector who’s been at Mayflower a while and can help you get to know the church. To request a connector, or to volunteer as a connector, contact coordinator Lauren Buxton. If your child comes to worship service with you, please know that activity bags, children’s bibles and books are located at the back of the Sanctuary. The Narthex, just outside the Sanctuary doors, is part of our worship space and a welcome place for families with restless children. 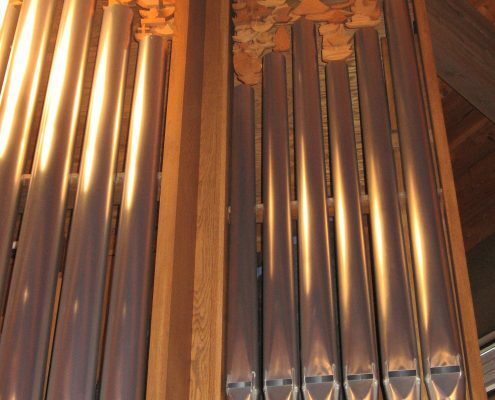 Our service includes a sermon and prayer time, when we keep silence for a couple of minutes. 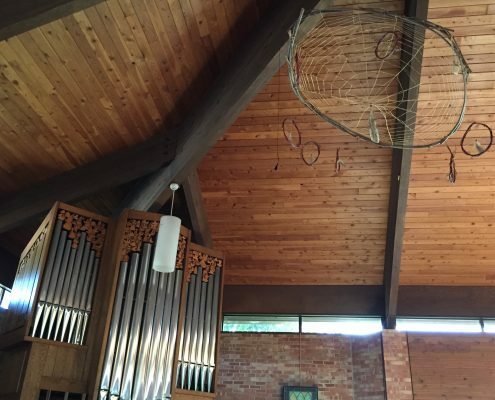 Our congregation enjoys this quiet time, but if your young child becomes restless, especially during those times, it can be helpful to use the Narthex as an extension of the Sanctuary. If you prefer, childcare is available during all worship services in room 210 on the second level of the education wing. 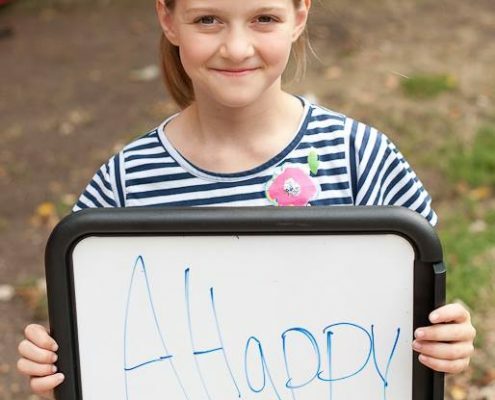 Trained staff and volunteers provide care for children ages 6 months to 5 years. The Parent Resource Room (room 100) is available for parents who need a quiet space to nurse, soothe or spend a few moments apart from Sunday morning activities. The room is equipped with overhead speakers so that parents can hear the worship service. Do you want to be part of an effective progressive church, working for justice and embodying the extravagant welcome of God? 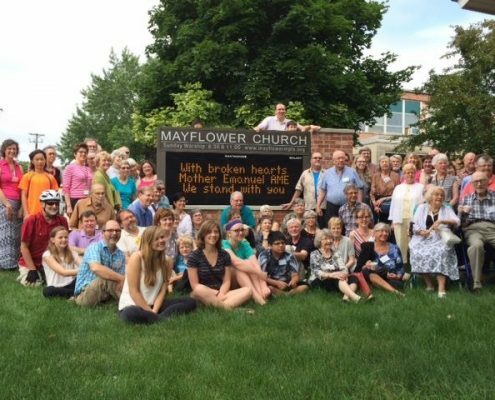 Our New Members’ Orientation offers lots of information about history, beliefs, and ministries of Mayflower church and, moreover builds a sense of connection and friendship as you find your way in this community. Families are welcome and childcare can be available during class sessions if requested a week in advance. Contact Rev. Howard Bell or call (612) 824-0762 x140. Affirming the sovereignty of Christ, we covenant with God and one another, binding ourselves in God’s presence, to walk together in all God’s ways, as they are made known to us in the words of scripture, the traditions of the church, and in our continuing search for meaning and truth. At the corner of Diamond Lake Road & 35W in south Minneapolis.